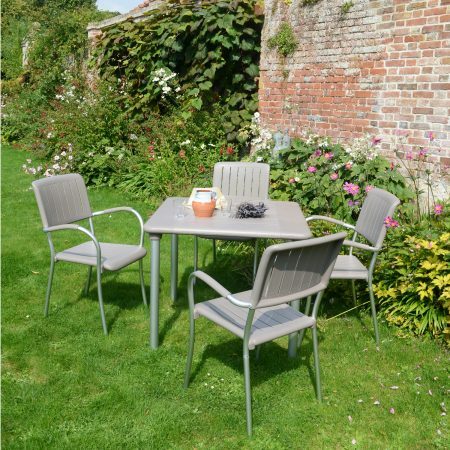 The Maestrale extending 220cm table is made from twin layers of high quality resin with an inner reinforcement of galvanised steel. 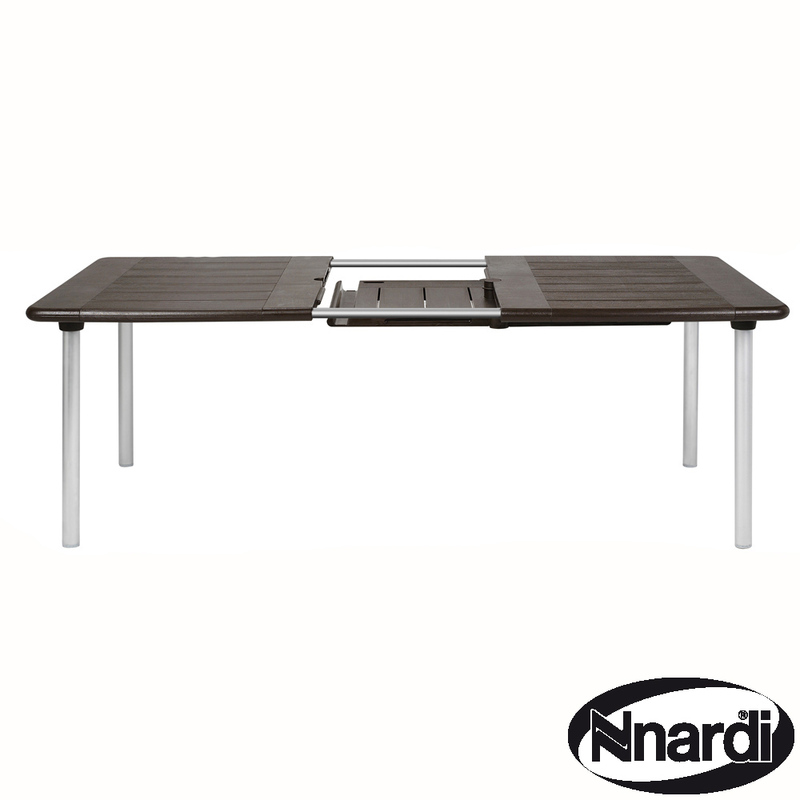 The wood grain effect on the top adds to the texture and feel of the table, the legs are made of tubular aluminium making this set extremely durable. 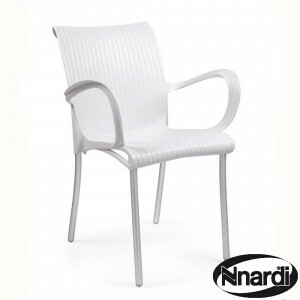 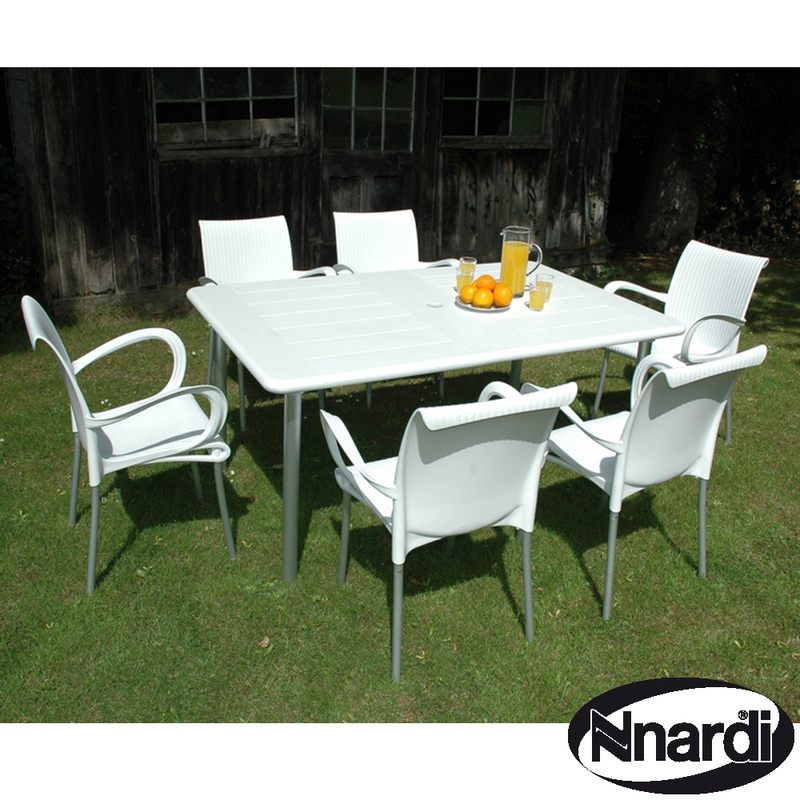 The Dama chairs are very stylish, will stack and are very easy to keep clean, the set is also weather resistant. 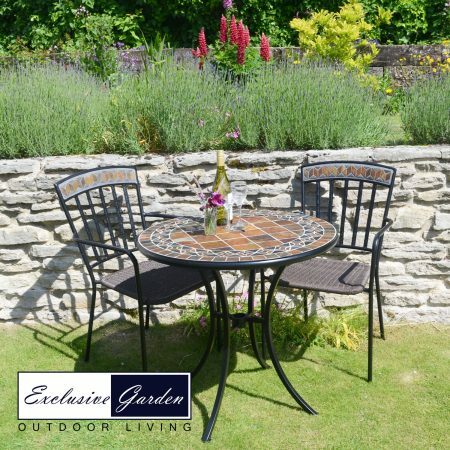 This 220cm Maestrale garden table is formed with a double layer moulded resin top, the two sections are bonded together to form a strong thick table top. 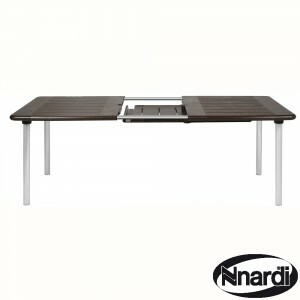 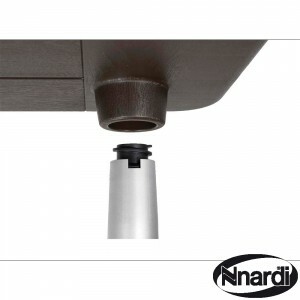 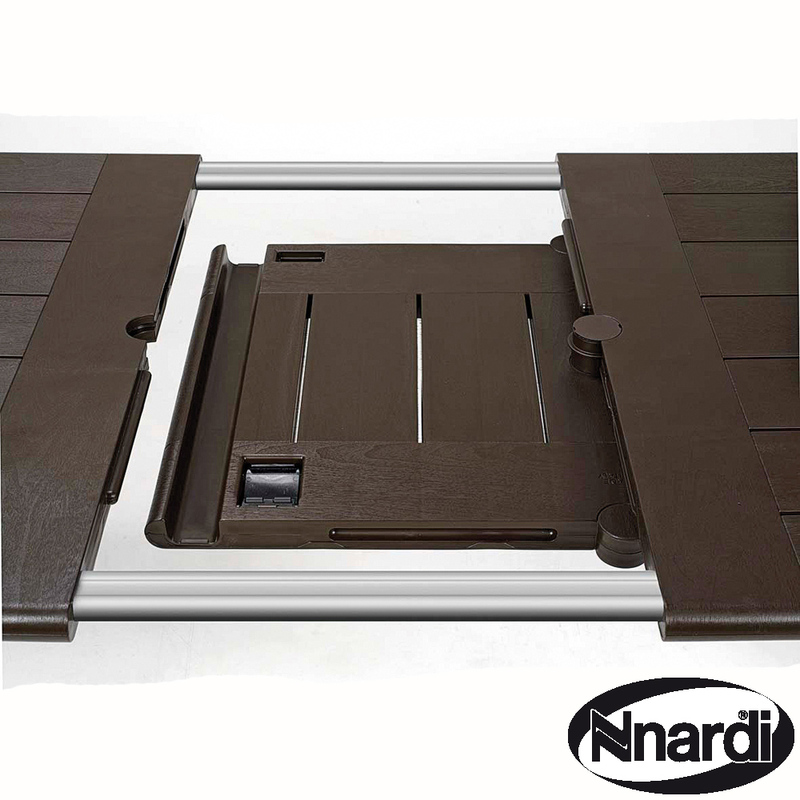 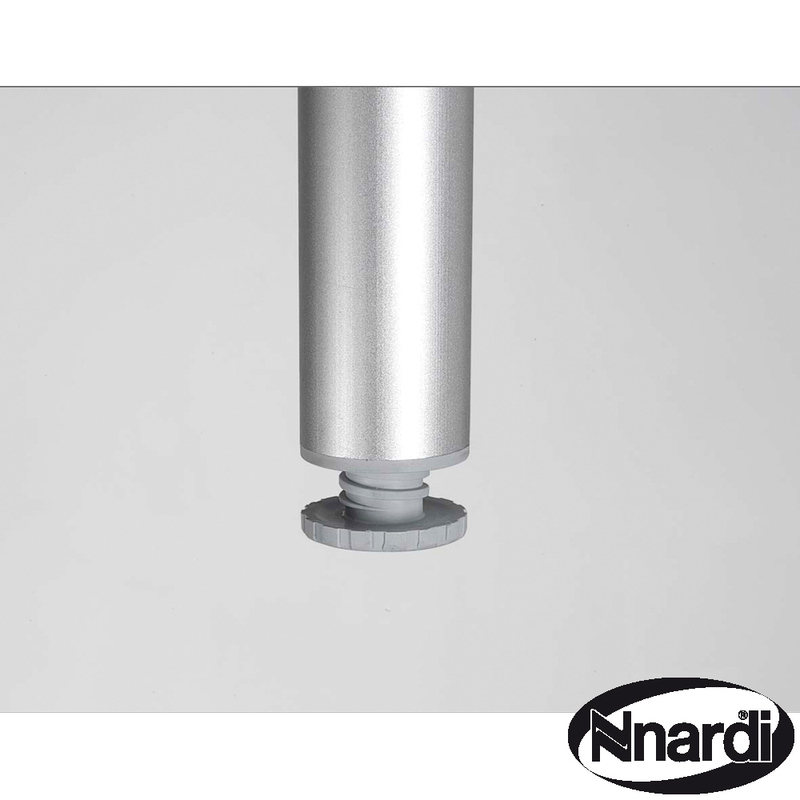 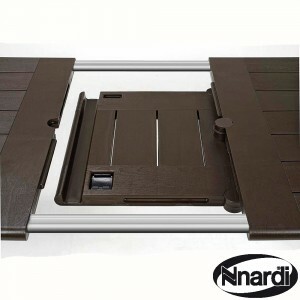 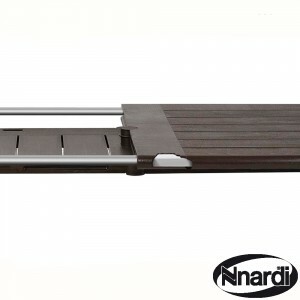 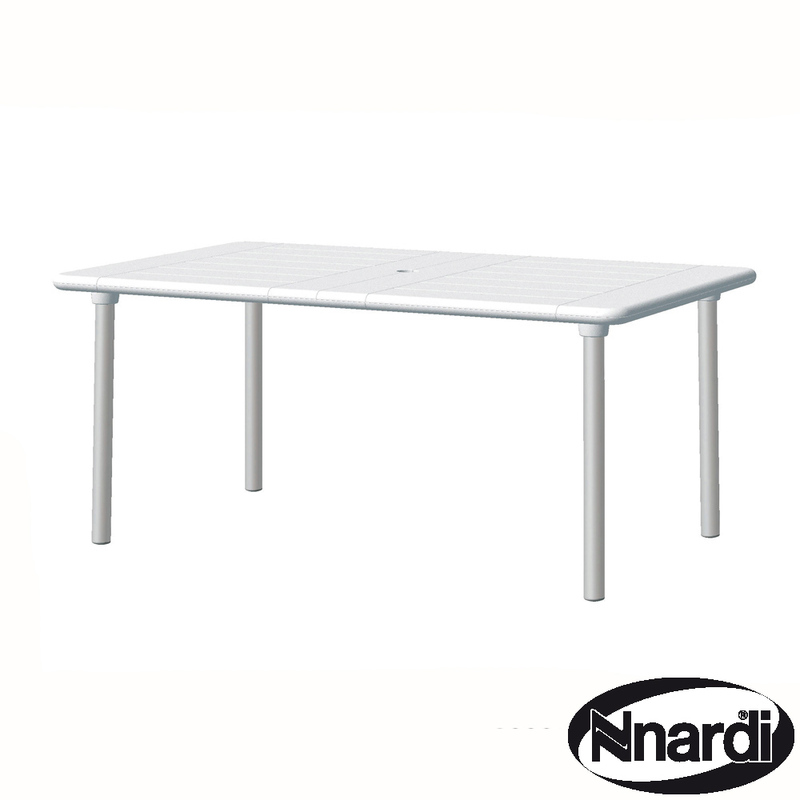 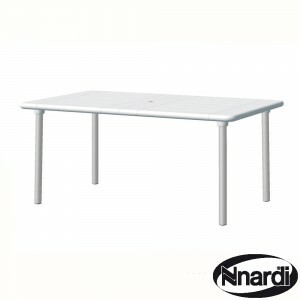 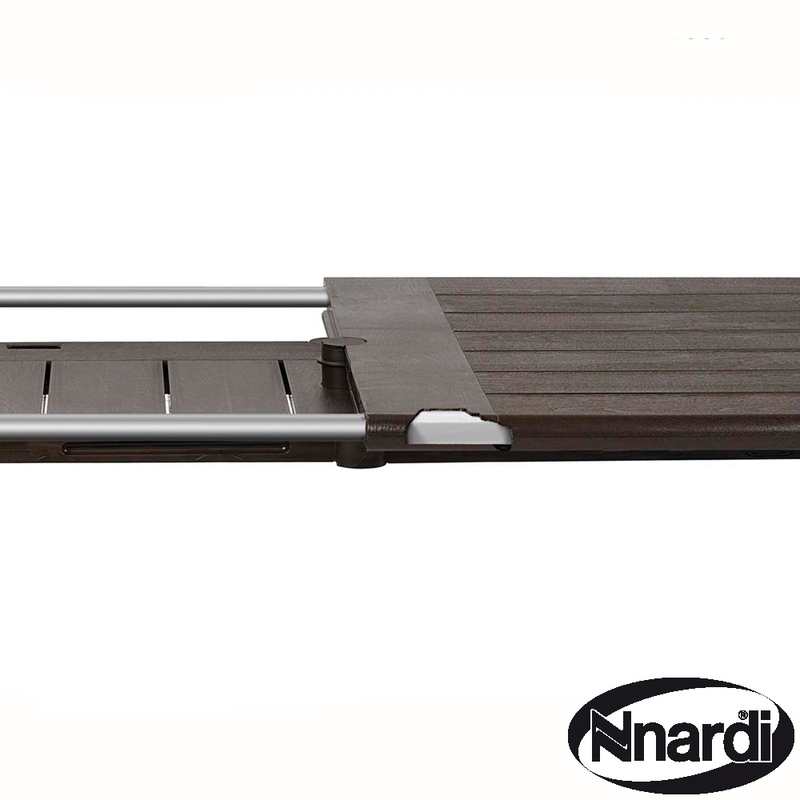 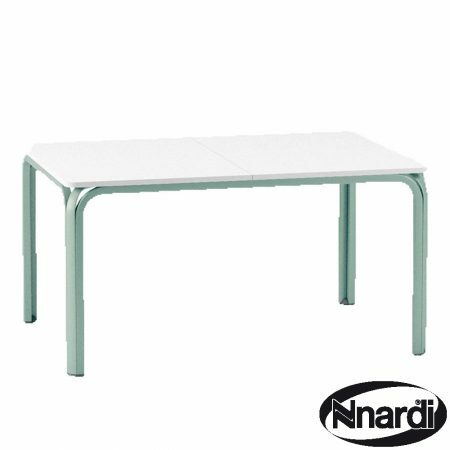 The table top extends from 160cm to 220cm and the extension stores underneath the table when not in use. 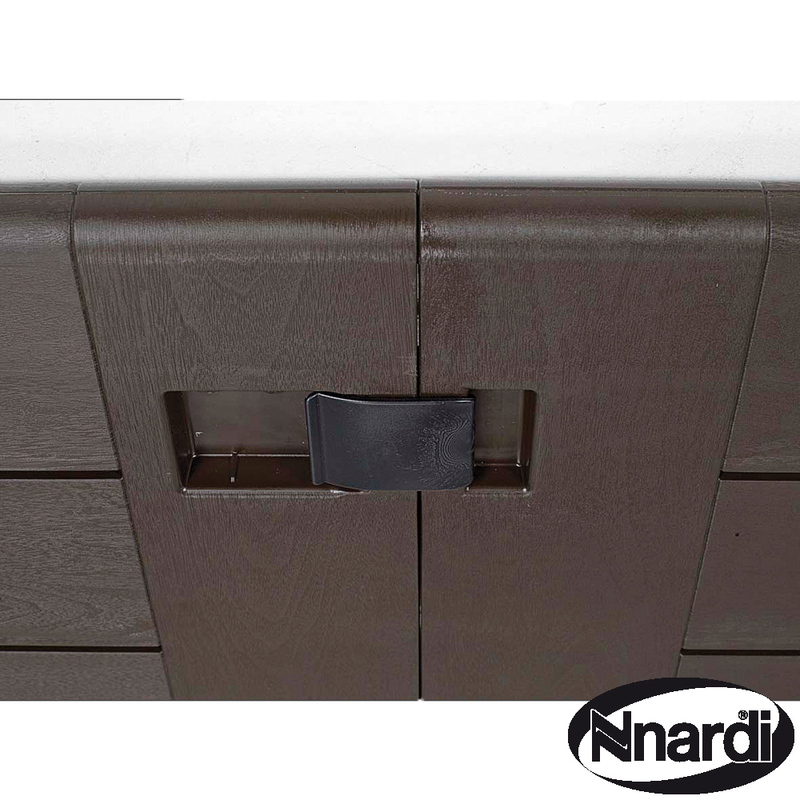 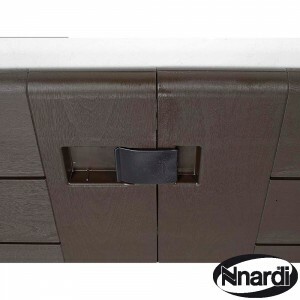 The legs have adjustable feet and the top has a wood grain effect etched into the resin. The Dama chair has anodised aluminium legs and a resin seat, moulded in an elegant style.